It’s hard to enjoy your coffee when the heat is all to evident on the surface of your drinking mug. Even an ice-cold coffee is hard to enjoy when your drinking mug is chilling out. 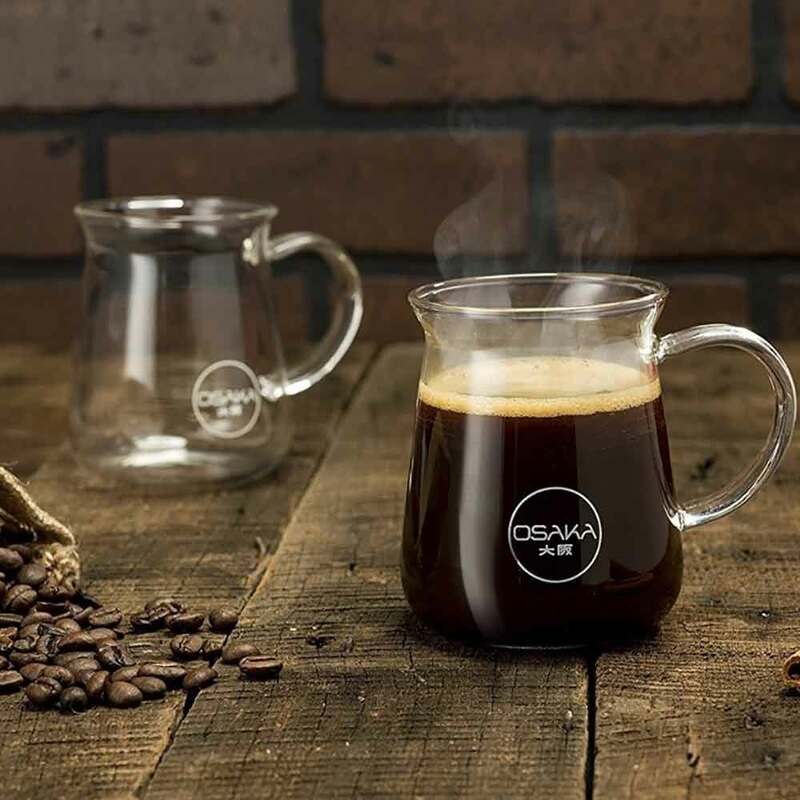 The Osaka coffee mug is an effective thermal shock proof mug made of Borosilicate glass. You get to enjoy extremely hot or cold coffee without suffering your fingers from gripping the mug. The coffee is also designed to be resistant to absorbing external odors, chemicals or residue. The mugs come in a pitcher-like shape with a lip-like brim. In all it’s beauty, it still manages to hold up to 10 ounces of coffee. And it’s safe for use in a microwave or dishwasher.